Mintop Forte containing the active ingredient minoxidil is considered a vasodilator type of medication. The 5% solution is used to stimulate hair regrowth and to slow hair loss in men with male pattern alopecia, hereditary alopecia and common male baldness. It is most effective for male patients under 40 years of age whose hair loss is recent and should not be used on receding hairlines. How is Mintop Forte used? 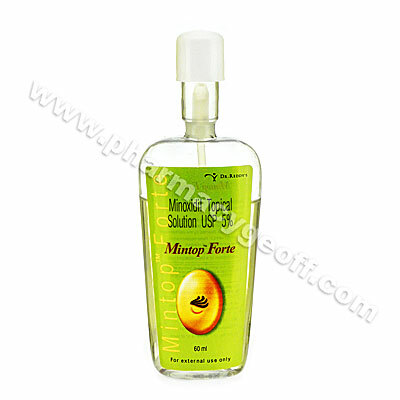 Mintop Forte should be rubbed in topically to a clean and dry scalp twice per day or as directed by a doctor. Contact a doctor for the correct dosage and length of treatment as it will depend on the patient�s condition and their response to the therapy. After applying the medication regularly, it may take up to 4 months to see the benefits of the treatment. Do not discontinue the medication without consulting a doctor as stopping the treatment may cause the loss of all newly regrown hair. Contact a doctor immediately should side effects persist or worsen. 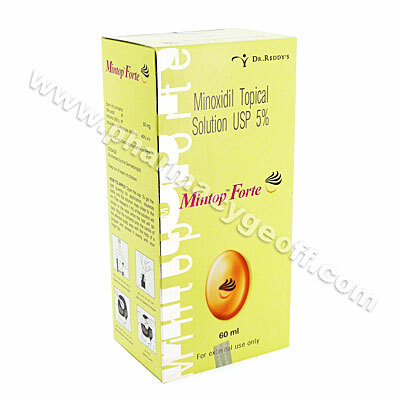 Mintop Forte is not always suitable for all patients. Always consult your health care provider prior to using this medication if you are pregnant, breastfeeding, trying to conceive, using any other medication (prescription or non-prescription), using any herbal products or supplements, or if you have any allergies or other health problems.